Don’t miss the art event of the year! 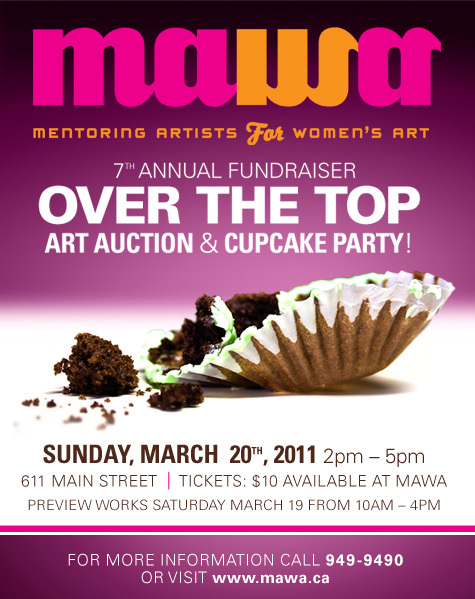 MAWA’s Over the Top Art Auction and Cupcake Party returns for its seventh year on Sunday March 20 2011, from 2- 5 pm. This year they are coining the event The Day of 1000 Cupcakes! I am happy to announce that council's downtown development committee approved a plan to close part of Henry Avenue to make way for a proposed condo development on Waterfront Drive. This will be a project that I am really excited about marketing. Residents could be moving into the former Penthouse Furniture building in downtown Winnipeg as early as this fall, officials say. 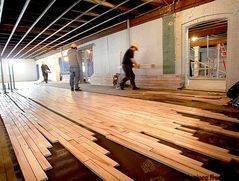 The $10.5-million conversion of the six-storey warehouse/retail building into a 60-unit condominium complex is in full swing. A spokesman for the developer, Alberta-based Taurean Global Properties, said the company hopes to complete work by August or September. Some interesting MLS stats for last year in the downtown. Highs and lows for movement would have folks at 181 Bannatyne & 110 Princess moving the most, and folks at 167 Bannatyne moving the least. Bill Thiessen’s Fortune Cookie Reads: Chinatown is in Crisis! Having read the Wpg Free Press article about the Chinatown Development Corporation (Dec 6th, 2010) wishing to knock down the Shanghai Restaurant in hopes of one day receiving enough public funds to construct a new development. I have come to the conclusion that it is now official that Winnipeg's Chinatown has fallen off the table on every public and private level that matters. I just reviewed condo sales for all of 2010 and noticed these statistics.